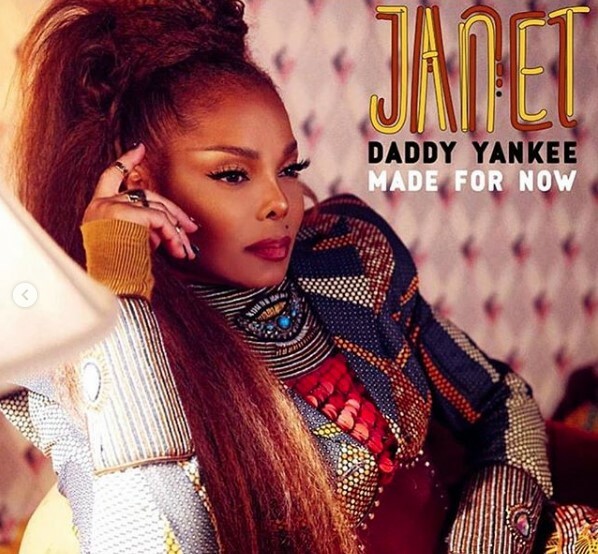 Tripping over the fact that the Rhythm Nation Queen, Mother of performance herself, Ms. Jackson if ya nasty, Janet Jackson is wearing Mind Of Kye for her next single! It doesn’t even feel real 🌫 Someone tell 7 year old Kye, that dreams do come true ❤️ I want to thank my creative sis with the biggest heart @zunydafor referring me ❤️and @_nothingbuttrouble_ for styling Janet to the Gods using what I like to call my Honeycomb Jacket 🐝, I feel honored 💓@janetjackson Made For Now featuring @daddyyankee comes out 8/17 ! !